Our business was started in the fall of 2006, but that date is misleading—we have years of experience and a rich history. Bliss Candy Company is not unlike thousands of small businesses across this country: ordinary people with extraordinarily good family recipes. 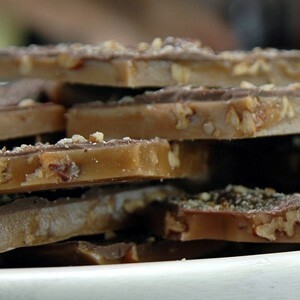 Our recipe came from my mother, who made toffee for every special occasion: Christmas, Easter, birthdays and family reunions, to name a few. I don’t remember a time as a child when toffee was not a part of our holidays. 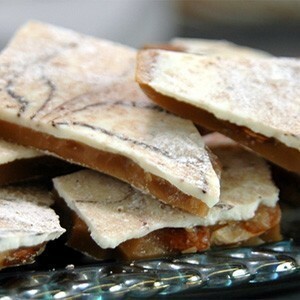 As a young woman learning the secrets of this delectable treat, I spent countless hours and dollars, making and throwing away batches of toffee. It was too soft, not crunchy, too sticky, or burned. Before the birth of unlimited long distance, many dollars were spent in communications with Mom, even keeping her on the line while making whole batches as she talking me through each step. After many years of practice, I finally perfected the technique, and (sorry, Mom) have even improved it. 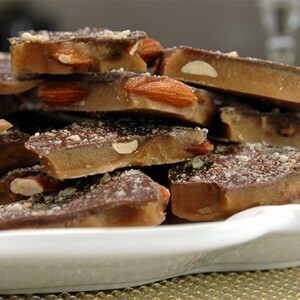 Bliss Toffee is the perfect combination of 4 ingredients, impeccable timing and lots of creativity. 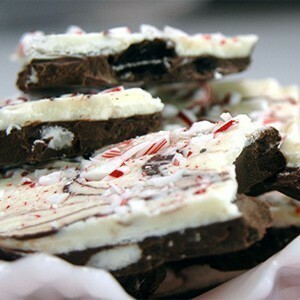 Through the years, friends and relatives have encouraged me to sell this treat. Since Sam and I started the company, sales have exceeded our expectations and our retail accounts are reporting that the product is selling out on a weekly basis.